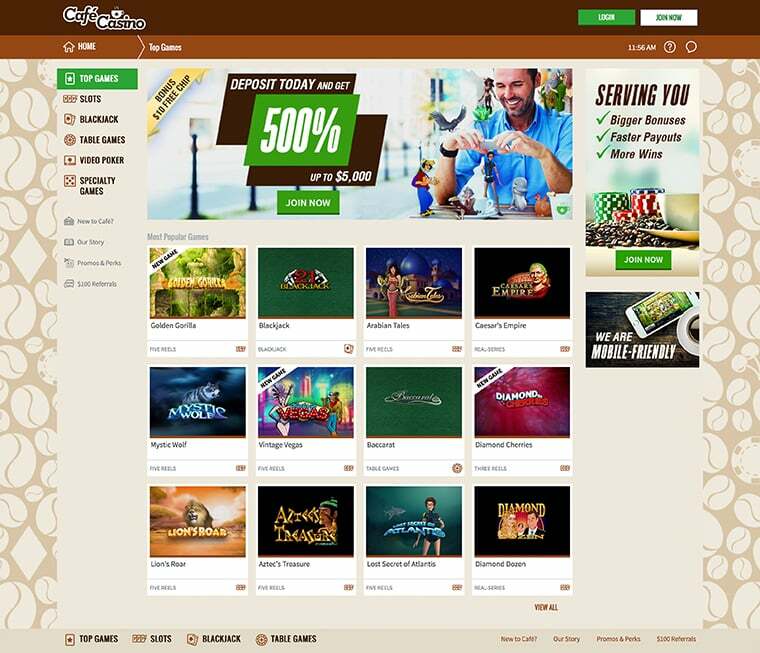 Cafe Casino is a brand new gaming site released by the team that stands behind two already established online casinos – Bodog and Bovada. Launched in early 2016, this site has everything it needs to win over players’ hearts in no time. Aside from its modern design, which by the way perfectly fits mobile device displays, Cafe Casino boasts with a safe gaming environment, top game selection and lucrative bonuses. However, the main reason it got our attention is the fact it accepts bitcoin deposits and provides bitcoin withdrawals. 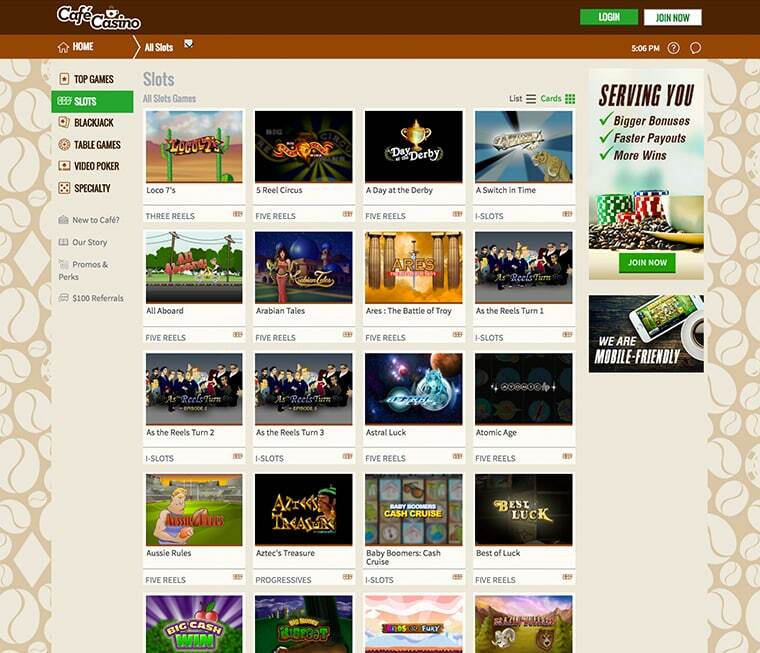 One of the top reasons to play at Cafe Casino is the site’s fantastic selection of hundreds of games powered either by Realtime Gaming or Rival Gaming. All titles are available in instant-play mode and can be started via any Internet browser that supports Flash. The operator has separated the games in several sections, thus enabling users to easily find the titles they’re looking for. It has to be pointed out that Cafe Casino features a good variety of themes and every game at the site provides smooth game-play spiced up with breath-taking graphics. 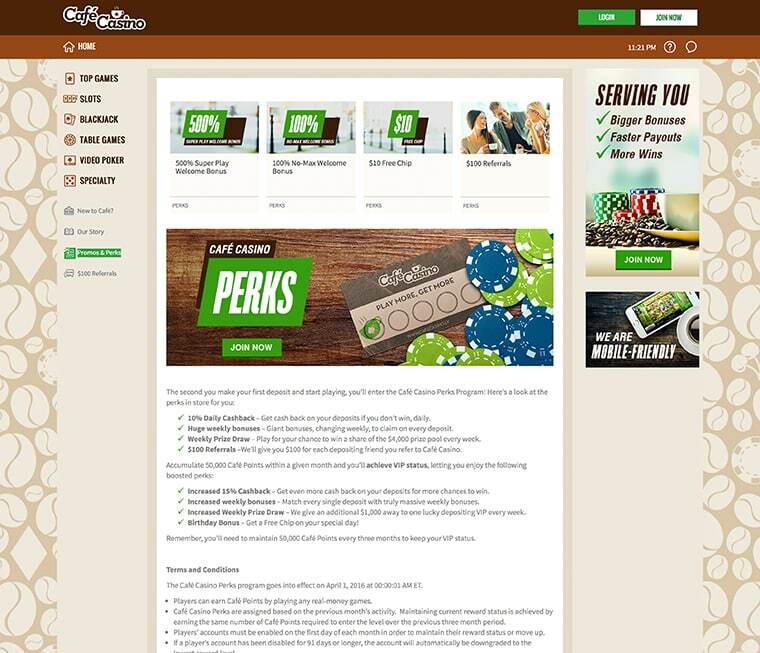 However, this is just the beginning because Cafe Casino gives $100 referral bonuses as well as generous perks to the most loyal customers. Depending on whether you’re a standard or a VIP player, you can expect benefits such as 10% daily cashback, weekly prize draws, special weekly bonuses as well as exclusive birthday bonuses. The fantastic game selection at Cafe Casino is available on both desktop and mobile devices thanks to the site’s responsive design. Therefore, owners of Android and iOS smartphones and tablets can access a good deal of Realtime Gaming and Rival titles anywhere and anytime. In terms of functionality, Cafe Mobile Casino lets players open an account or access an existing one, make deposits, request cashouts and claim bonuses. Naturally, members also can play games, which are neatly separated into slots, blackjack, table games, video poker and specialty titles. 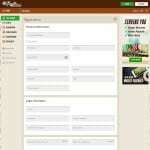 Cafe Casino is a perfectly safe and secure bitcoin gaming site. The company that operates the casino is licensed and approved by the Kahnawake Gaming Commission, plus the software is fully certified by iTech Labs. This means that not only the casino is safe, but also the outcomes are 100% fair and random. Since, among other banking options, Cafe Casino accepts bitcoin payments and withdrawals, the site has provided a whole section that helps users find out limits, fees and processing time. So, first of all you have to know that the operator doesn’t charge any fees on bitcoin transfers; thus, they’re completely free unless your wallet provider includes certain fees for their service. When it comes to limits, the minimum amount of coins you can deposit and cashout is set at $20. The maximum amount you can upload, on the other hand, equals $5,000. Finally, the highest withdrawal you can request per transaction cannot exceed $2,500. Usually, all bitcoin transactions are processed immediately. This brand new bitcoin gambling site provides a professional and dedicated customer support team, which works 24 hours a day, seven days a week. 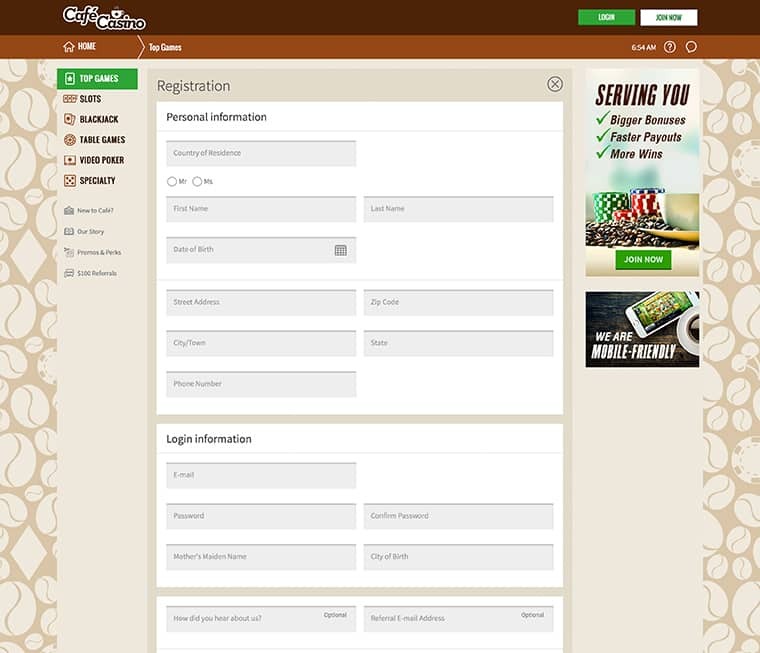 Customers at Cafe Casino can get in touch with an agent either by sending an e-mail using the form on the site or by calling a phone number. Moreover, there’s a well organised Help section where basic questions such as getting started and making payments are explained. To sum up, Cafe Casino is a great online casino where players can use their favourite cryptocurrency in order to play lots of top notch quality games. The site provides safe gambling and fair results, plus it pampers customers with mouth-watering bonuses and promotions. Therefore, it can be concluded that Cafe Casino is a recommended casino site that won’t disappoint those who will decide to give it a chance.